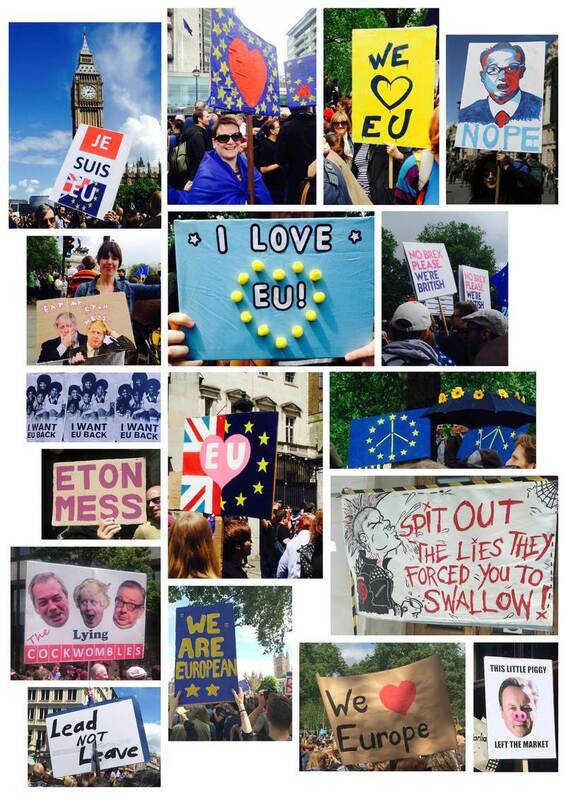 Today, London saw many thousands of protesters unite for the ‘March for Europe’ rally in opposition to the UK Brexit vote. 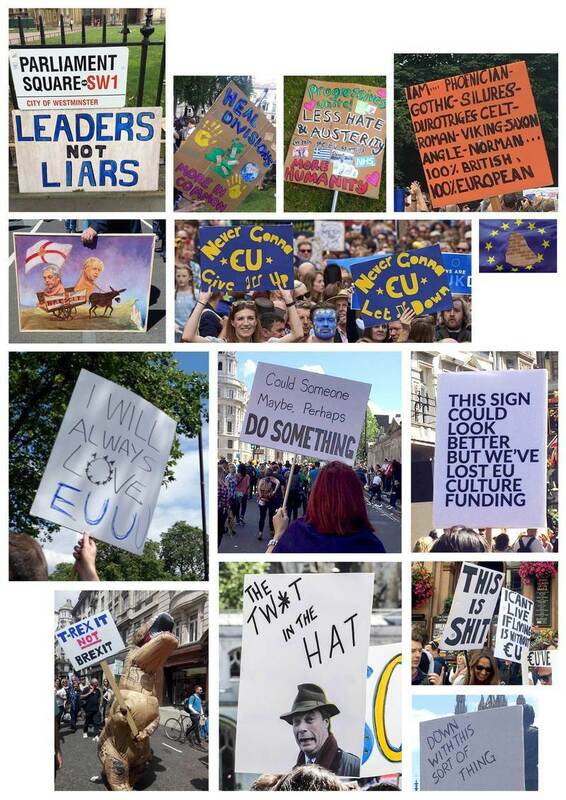 Marching from Park Lane to Parliament Square, a positive day of protest was accompanied by some top notch banners. 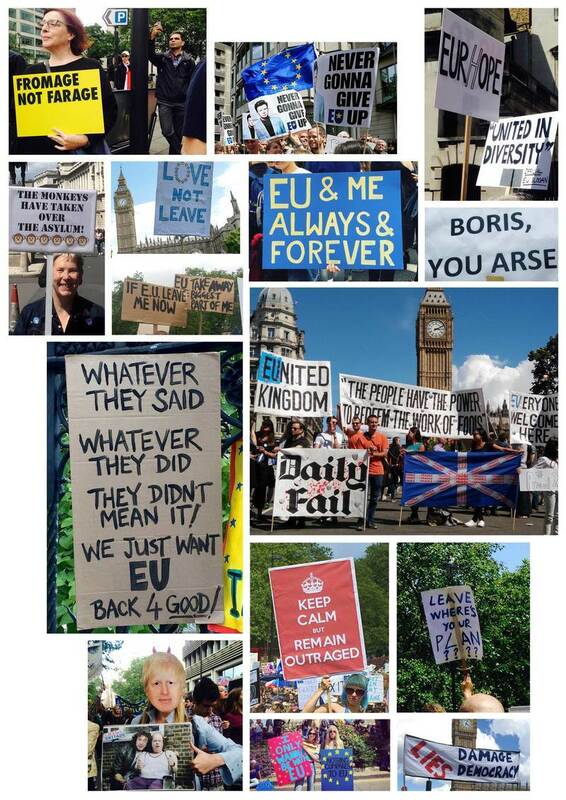 From "Fromage not Farage", Rick Astley puns like "Never gonna give EU up" and straight to the point "Boris you arse" jibes, an array of inspiring and clever graphics and copy shouted loud and hard today. Here's a collection of the best ones. Enjoy.